They came wearing capes and costumes. A sea of superheroes, villains and comic book characters transformed the Victoria Convention Centre and Crystal Gardens into a realm of fantasy for three full days, and organizers are calling the second annual Capital City Comic Con another success. "It was four floors of massive awesomeness," event organizer B Woodward said. "Everybody was happy from my end in a sense of, you know, they were grateful, they were happy, they were having fun and that’s what we were shooting for." The event featured celebrities such as film actors Malcolm McDowell, and Dan Fogler, professional wrestler Jake "The Snake" Roberts, and Star Trek: The Next Generation actress Marina Sirtis. 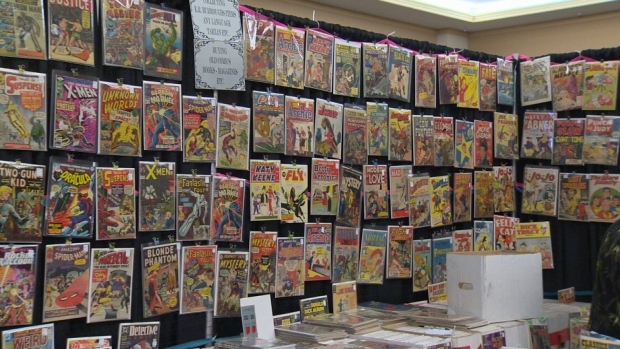 There was an abundance of games, collectibles, and comic book artists – attracting thousands of people to Victoria’s downtown. 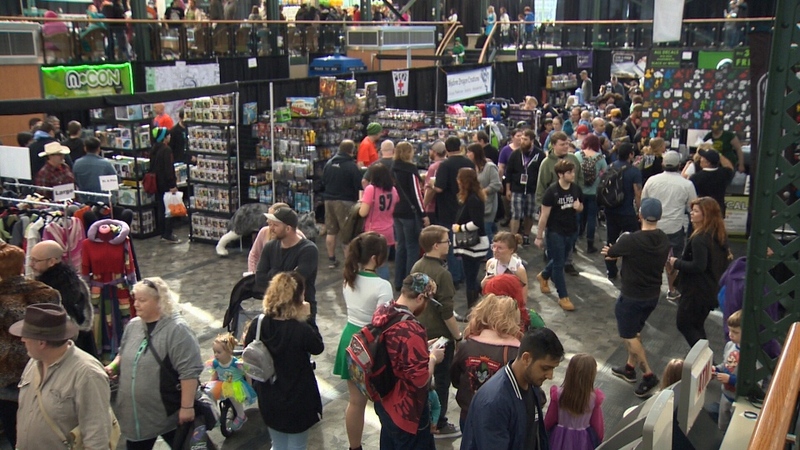 While attendance was similar to last year’s inaugural event, Woodward says he is looking at the long game, with hopes of expanding Victoria’s comic convention to the likes of those in major cities like Vancouver and Calgary. "We want the whole island to erupt with fun. We want everybody to come in from all around the world and just basically go: ‘Did you know that Vancouver Island is this whole mecca of collecting pop culture awesomeness?’" Woodward said. But he admits that the road is long, and for now he’s enjoying the feel of a more intimate convention. "It’s a little time. I believe were slowly getting there." Woodward said. "We’ll go baby steps, you know. Cause we don’t want to jump to fast. If we jump to fast, then somethings going to get missed, and that’s the last thing we want. We want to make sure that we do this in the right pace so that everybody’s appreciated and understands and there’s a good flow and it’s going to work great for everybody." Looking forward to next year, Woodward said he would like to bring in more interactive events to engage fans. "You have your stars and you have your comic artists and you have your exhibitors that you're dealing with but it’s like, let's have more fun things to do as well instead of just seeing and shopping," Woodward said. After taking some time to reflect on three days of comics, collectibles and caped crusaders, Woodward added that it’s the fans who make the convention great, and he is proud to have the support of the city. "Really, it’s all the people coming out and saying you know thank you. Also, you know, saying 'hey I appreciate this' and that’s the only way that’s this is going to get bigger," he said. "You know it means a huge amount because it gives us the ability to do next year." The quake struck at around 1:27 p.m. about 170 kilometres west of Port Hardy, according to the U.S. Geological Survey.